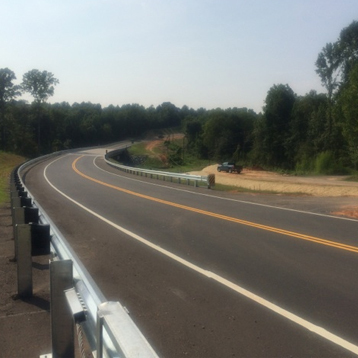 As a primary member of the design-build Team, ICE was selected to provide roadway and hydrology design, utility coordination/relocation and survey services for the replacement of seven deficient bridges for the SCDOT in Districts 2 and 4. The team provided a true partnership with the SCDOT to provide effective and efficient contract performance. By working closely with the environmental subconsultant, ICE ensured that all necessary environmental permits were acquired and the appropriate agencies were consulted. The roadway design services included preliminary and final designs and a Quality Management Plan. Hydrology design services included river/roadway drainage design calculations including drainage areas, design year flood evaluation, FEMA no-rise certifications, need for scupper inlets, approach to conveyance design, bridge scour calculation, flow calculation, catch basin and drop inlet location design, and other designs related to stormwater improvements. The Scope of Work for this project includes design, permitting, right-of-way acquisition and services, construction, and construction engineering and management on 7 replacement bridges on secondary roads located in Lancaster, Laurens, Union, and York counties in South Carolina.